You Can Become All Flame! Having just heard the story of the Transfiguration of our Lord, you might very well think that today is the Feast of the Transfiguration. Well, it isn’t! Transfiguration Day falls on August 6. 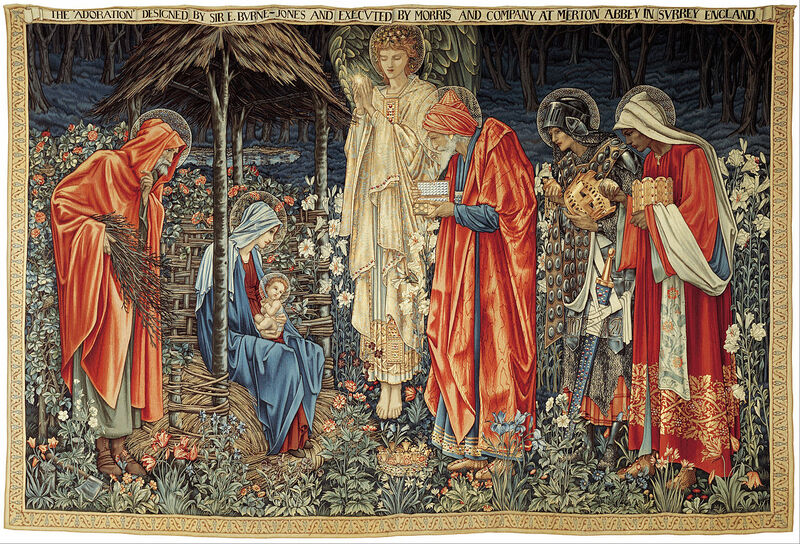 Today is the Last Sunday after the Epiphany, and this day brings the Epiphany Season to a liturgical close. It does this by bringing us back full circle to the theme of manifestation. (As you may know, the English word epiphany derives from the Greek word for manifestation.) The season started on January 6, the Feast of the Epiphany, with the telling of the story of the Magi. That story focused on the manifestation of Christ to the Gentiles in the persons of a few nameless wise men. Today’s Gospel story looks at another epiphany, the divine manifestation of Christ to his three closest disciples: Peter, James, and John. On the mountain top, we are told, Jesus was transformed in the presence of these disciples. And they got just a glimpse of Jesus’ divine glory. In Mark’s account, which was read today, only Jesus’ clothes are resplendent. In Matthew’s account, Jesus’ face is said to shine like the sun, just as Moses’ face shone when he came down from Mount Sinai. In this vision, the three disciples see Jesus talking with two famous figures from the Hebrew Bible, Moses and Elijah. Here, I suspect, we find ourselves in the realm of the symbolic, with Moses symbolizing the Law and Elijah symbolizing the Prophets. The disciples’ vision of these two biblical figures in conversation with Jesus signifies that Jesus is the fulfillment of both the Law and the Prophets. He is indeed the long-awaited Messiah, foretold in Hebrew Scripture. Based on the Bible readings we have heard recently, you might think we were in the season of Epiphany. Last Sunday, we had two accounts of divine epiphanies, one to Moses and one to Jesus’ inner circle. Today, we get another two epiphany stories, one to the prophet Elijah and one to a boatload of Jesus’ disciples. Let me start out by setting the scene for the epiphany to Elijah. Elijah had bested the prophets of the pagan god Ba’al in a contest and ordered the losers in the contest to be executed. Queen Jezebel, in turn, ordered that Elijah be executed. He ran away to a cave on Mount Horeb to hide and to bemoan his fate. 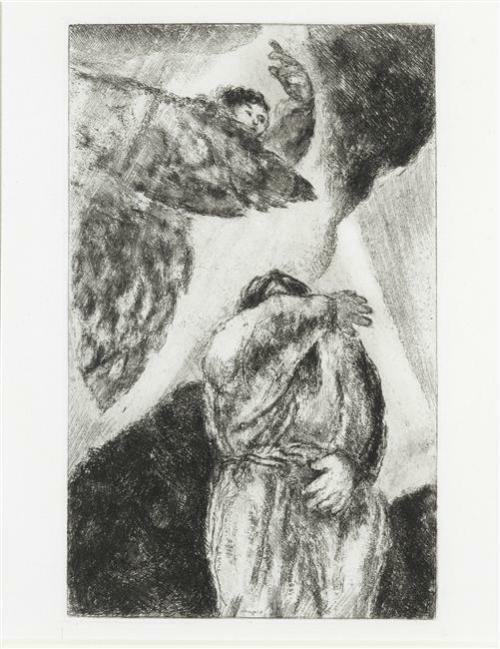 There, in that cave, Elijah hears the voice of the Lord asking him what he is doing hiding in a cave. Elijah complains that he is the last faithful Israelite left in the land and is now under a sentence of death. The Lord then instructs Elijah to go out onto the mountain and await his appearance. Here is where things get really interesting! Instead of instantly obeying, Elijah waits in the cave for a sign. First, there is a great wind. Elijah stays put. Then, there is an earthquake. Elijah stays put. Then, there is a great fire. Elijah stays put. In each case, we are told, the Lord was not to be found in these terrifying phenomena. Last but not least, there is the faintest of whispers, the merest of murmurs. At long last, Elijah leaves the cave to meet with the Lord, rightly discerning that the Lord has finally arrived. We are told that he covers his eyes with his cloak, lest he be struck dead by the sight of the Lord’s face. Outside that cave on Mount Horeb, the Lord asks Elijah the very same question he had asked before. And again, Elijah gives the very same answer. It is as if he has learned nothing about the power of the Lord! He is still afraid. He is still discouraged. He is still bone-weary. At this point, the Lord shows him mercy, allowing him to retire after he has trained up a successor. Today is the Last Sunday after the Epiphany, and the story of the Transfiguration completes the season by bringing us back full circle to the theme of manifestation. (As you may know, the English word epiphany derives from the Greek word for manifestation.) The season started on the Feast of the Epiphany with the story of the Magi, symbolizing the manifestation of Christ to the Gentiles. Today’s Gospel story deals with another epiphany, the divine manifestation of Christ to his three closest disciples. This year, we hear Matthew’s account. And in some ways, his version is the least difficult. In the other accounts, it’s not clear how we are meant to understand this story. Is it real? Is it describing something factual that any bystander would have been able to witness? Matthew’s Gospel helps us here. In this Gospel, Jesus himself refers to what has occurred as a “vision.” Is it real? Yes, but on a level of reality that transcends the everyday. Would any bystander who was at hand have been able to witness this event? Maybe not. Divine visions often belong to the realm of private mystical experience. Given that the Transfiguration story is a vision, we should not be surprised by the occurrence of symbolism that requires interpretation. And we find such symbolism in the very first words of the account. The Gospel reading starts by telling us that six days after the Confession of Peter, Jesus takes his three closest disciples to a mountain top. Now in the Old Testament, many numbers had special numerological significance. But 6 isn’t one of them. There is only one place where the number 6 has a special significance—in the story of Moses on Mt. Sinai that we heard read in the first reading. For six days, a cloud covered Mt. Sinai; on the seventh day, God spoke to Moses from the cloud. 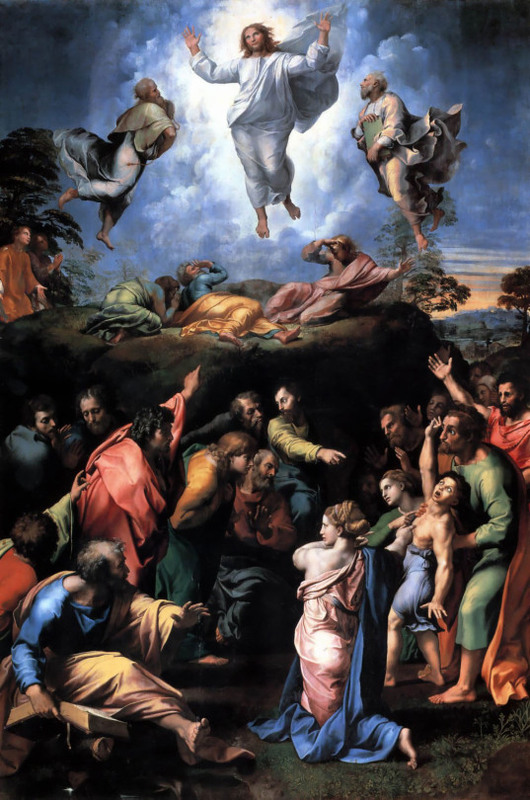 In the story of the Transfiguration, the very timing of the event has symbolic significance. It hints that what is about to happen is as momentous as the giving of the Law to Moses. Echoes of the Epiphany resound in today’s Gospel reading. Last Sunday was the feast of the Baptism of Our Lord, and we heard St. Matthew’s account of Jesus’ baptism. As I stated last week, that account is the principal reading in the Eastern Church on the feast of the Epiphany, whereas in the Western Church the story of the Magi is proclaimed. Today we get a second echo of the Epiphany in John the Baptist’s account of Jesus’ baptism—or to be precise, in his remembrance of that recent event. In Matthew’s account, Jesus sees the heavens open up and the Spirit descend like a dove. It isn’t absolutely clear if anyone else sees what Jesus sees, or hears what he hears. St. John’s Gospel answers that question. 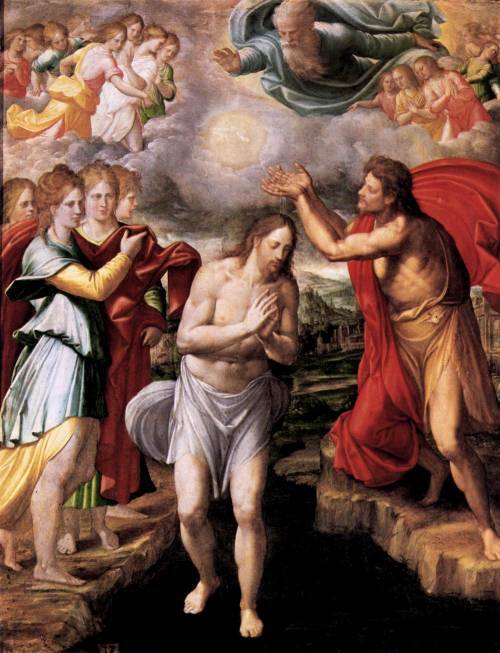 John the Baptist also saw the descent of the Holy Spirit at Jesus’ baptism. And for him this was the sign he had been waiting for that the One who was coming into the world had arrived. The Baptist announces to all within hearing distance that Jesus is “the Lamb of God who takes away the sin of the world.” One wonders exactly what he means by this curious expression. Elsewhere, Jesus is proclaimed as the great Shepherd of the sheep, a reference to his status as the Messiah. But here, he is not the shepherd, but the sheep, and a baby one at that! The most common interpretation of this metaphor is that John is equating Jesus with a paschal lamb, the animal that was slaughtered, roasted, and eaten once a year in commemoration of the Exodus. The blood of a paschal lamb was a symbol of redemption. Recall that at the first Passover, the Israelites smeared their lintels with the blood of a lamb, so as to be spared from God’s wrathful visitation upon Egypt. 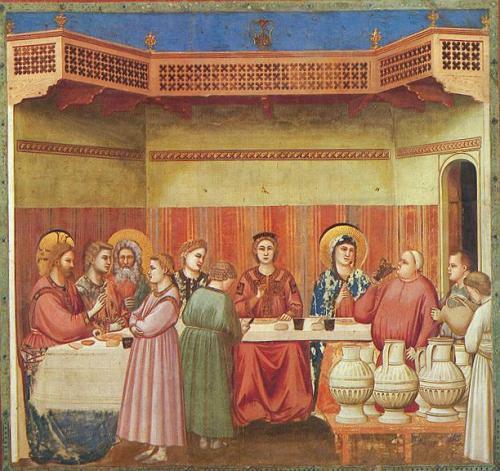 While the killing of a paschal lamb was not originally a sacrifice, by Jesus’ day, when only the priests in the Temple were permitted to slaughter the lambs, the slaughter and communal sharing of a lamb was commonly thought of as a Temple sacrifice. We see this sacrificial understanding of the Passover when St. Paul writes, “Christ our Passover is sacrificed for us,” a phrase that should sound rather familiar. I would like to start out by commending you all for braving this morning’s storm to attend church. By so doing, you have undoubtedly added to your treasures in heaven. Now for the actual sermon! Last Friday was the feast of the Epiphany. In the Western Church, the focus of that feast day is the manifestation of the Christ child to the Gentiles in the persons of the Magi. But in the Eastern Church, the focus is the Baptism of Jesus. So in a sense, this Sunday is a liturgical tip of the hat to our Eastern brethren. And as the focus of the day is baptism, the Episcopal Church commends this day either for baptisms or for the renewal of baptismal vows. That explains the insert found in your bulletin. Our readings begin with a poem about God’s Servant, taken from the 42nd chapter of Isaiah. I call it a poem, because the Hebrew is written in a classically poetic style. But the reading comes across more as a service of installation or commissioning than an actual poem. The unnamed Servant of God is first commended to the listeners. Then, he is directly addressed by one who speaks on behalf of God. We learn that this anonymous figure has received God’s Spirit and will be a bringer of justice to all nations, not just to Israel. He will be a light to open the minds of those who live in spiritual darkness. And he will free those who are imprisoned, both literally and metaphorically. What is particularly striking about this Servant of God is that he will be exceedingly gentle to the weak and the vulnerable: “A bruised reed he will not break, and a dimly burning wick he will not quench.” Now, the identity of this Servant of God is a source of some debate between Judaism and Christianity. Our Jewish brothers and sisters see the Servant as a personification of Israel, while we Christians have consistently maintained that the Servant of God is none other than Jesus Christ. And today’s Gospel reading, we see that Isaiah’s proposed service of commissioning was, in fact, fulfilled in the baptism of Jesus in the river Jordan. X Let the words of my mouth and the meditation of my heart be acceptable in your sight, O Lord, my strength and my redeemer. Today we celebrate the feast of the Epiphany—sort of, but not really! The feast of the Epiphany will be celebrated in actuality on Tuesday. But the Gospel readings are, in fact, the same. So you can consider this a preview of coming attractions, like a movie trailer. The Gospel reading for today is that well-known story of the Magi. The story is too well-known, in fact, for we know more than the Bible ever tells us! We know that there are three Magi, despite the fact that the Bible never gives us the number. We know that they are really foreign kings, despite there being no mention of this in the Scriptures. We know their names are Caspar, Melchior, and Balthasar, and that one of them is African (this latter fact was only ascertained in the 12th century).